Program #SHIV003. Recorded in Boulder, CO on April 29, 1997. 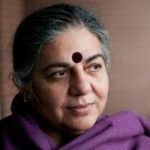 Vandana Shiva talks about the central role of women in resistance struggles in India and throughout the Third World. She says, “On the other side of India in Orissa there was a movement. The women’s slogan is, soil is our goddess, it’s our religion.” She adds, “A new steel plant is coming up. This really tells the story of the perversion of the global economy. Bethlehem Steel is closing down. UK steel mills have closed down. In Gopalpur, Nippon is involved with Tata (an Indian conglomerate) in setting up this new steel plant, for which they have to displace twenty very prosperous villages. And the women are saying, “We will not let you move into our villages. We will not give up our land. The earth is our mother. She has looked after us in this part of the earth, and we are going to die here. 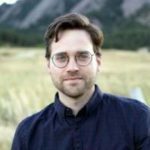 Because uprooted from here we would die anyway.” They’re not allowing either the government or the company to enter, to even start doing the surveys. They have this tremendous direct action. They have a stri shakti, (women’s power) watch. The defense committee is run a hundred percent by women. Interview by David Barsamian.